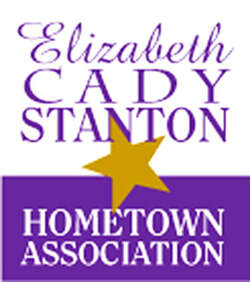 A non-profit organization dedicated to continuing the legacy of Elizabeth Cady Stanton. One : that everyone who grows up in Fulton County New York and the surrounding communities learns about the work of women's rights reformer Elizabeth Cady Stanton. And to understand and promote the fact that during her lifetime, Stanton became a nationally and internationally recognized reformer and pioneer for women's rights. She continues to be so today. Two : that this organization continues to serve women in a variety of capacities just as she did. We are dedicated to advancing the economic, political and social status of women and girls. Three : that Johnstown will become known as the birthplace of women's equality in the U.S. Stanton was the first women to call for the right to vote as the seminal rite from which all others flowed. Stanton lived in Seneca Falls for 8 years but her political and social reform ideas were forged in the formative years of her Johnstown NY life. women’s rights and laws unfair to women, demanding change. The sunflower, the Kansas state flower was also used in Elizabeth Cady Stanton and Susan B. Anthony's 1867 campaign in Kansas in support of full women's suffrage. After Kansas suffragists used the sunflower in the campaign, yellow, along with white and purple became the symbolic colors of the national women's suffrage movement. Women campaigning for "Votes for Women" wore yellow ribbons, buttons and sashes. NYS Lieutenant Governor Kathy Hochul with ECSHA Volunteer Sunflower Shoppe Manager Sandy Fiesinger at the Sunflower Shoppe's Grand Re-opening, January 29, 2018. 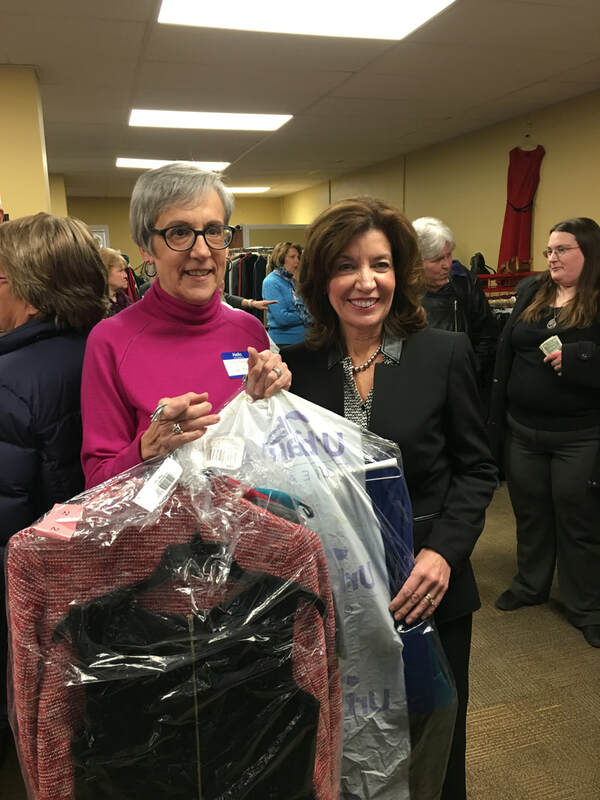 The Lieutenant Governor not only cut the ribbon for the Grand Re-opening, but gave inspiring and encouraging words to ECSHA members and guests and donated clothing to the Sunflower Shoppe as well. We thank her so much for coming to Johnstown! Please visit our new location at 26 West Main Street in Johnstown, NY. The goal of our shop is to help women with their career clothing needs. The shop is open to all Wednesdays and Thursdays from 11:30- 4:00 and Saturdays from 10-1. We hope to be open soon on Fridays as well. operational as many of our volunteers travel or are snowbirds. Elizabeth's and Eileen's Closet is our prom dress rental or purchase service starting in February and continuing through May of each school year. Dresses rent for $30 or can be purchase for $50. Come see the beautifully stylish gowns we have to offer, long and short. We also have formal wear suitable for women for holidays and special events. stylish and high quality clothing at very reasonable prices. And we have a variety of sizes. If you in need for something dressy for a special event, the Sunflower Shoppe can help you with that attire as well. Now that we have a larger shop space, we are taking donations of jeans which can be worn in some job locations. Please think about donating gently used and stylish jeans as well. We thank so many of our city and area residents for their "matronage" and support of our efforts to provide his quality career clothing for women at work. 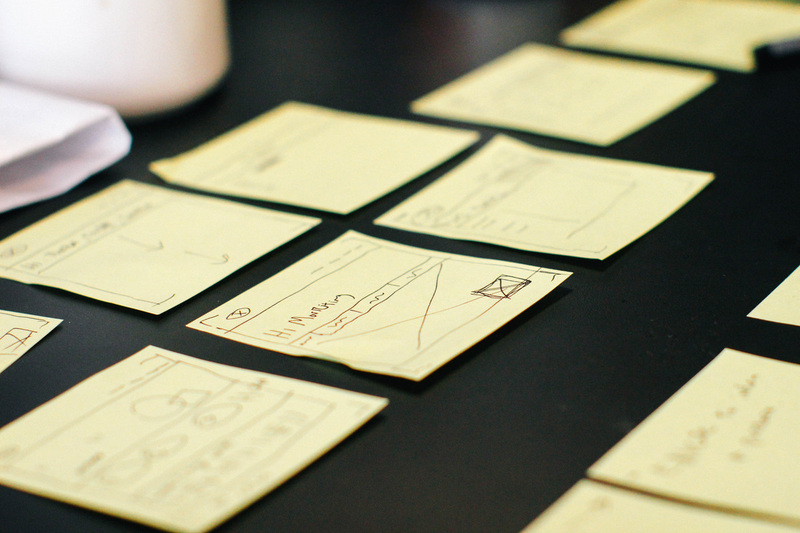 If you are an educator check out our lesson plans! Take our cellphone tour of ECS hometown!